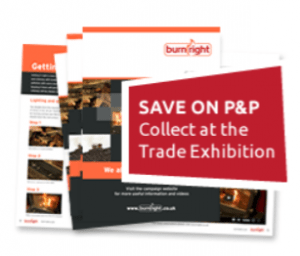 Save P&P – Click and collect BurnRight brochures at Guild trade show! Posted February 1st, 2019 by Guild & filed under News. YOU can order your BurnRight brochures and flyers for collection at the Guild Trade Exhibition in March. You can collect at the show IF you order by February 14 (easy to remember – place your order by Valentine’s Day!). We need to know your order now to give the printer plenty of time. “BurnRight will be celebrating its first birthday at this show,” said Lawson Wight, Guild chairman. We cannot guarantee to have brochures / flyers available at the show unless you pre-order by February 14th. New vacuum and van stickers – No need to pre-order, there will be plenty. CLICK HERE to collect at the Guild Trade Exhibition 2019. What’s the Guild Trade Exhibition all about? If you don’t know – get a coffee, sit back and enjoy watching this video: Click Here.